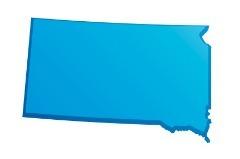 South Dakota features some of the lowest crime, unemployment, and foreclosure rates in the nation, as well as an extremely affordable cost of living. Combined with ample salary increases for teachers, South Dakota is an attractive place to start, or continue, a career. The state is also in the midst of large-scale education reform. This too makes South Dakota a prime target for educators looking to make significant changes in the educational climate—as well as in their students’ lives. What’s the education climate in South Dakota? How’s the job outlook for South Dakota teachers? What benefits do South Dakota teachers have? What are South Dakota’s credentialing requirements? South Dakota’s eighth-grade math and reading scores are among the highest in the country. And yet, the state reports low graduation rates in some districts and a 75 percent graduation rate statewide. In addition, 30 percent of college students who graduate from South Dakota high schools enroll in remedial college courses. This and other data has indicated a need for significant change in education policy in South Dakota. Governor Dennis Daugaard signed education House Bill 1234 into law in March 2012. This law brings sweeping reform in two key areas—state-mandated tenure rights and merit pay for teachers who meet specific professional benchmarks. Because of the rural make-up of South Dakota, the legislature proposed that a certain measure of local choice is necessary in deciding how to handle teachers continuing contract rights and merit-based payment awards, rather than a one-size-fits-all approach. Thus, HB 1234 grants each district the right to determine if it should grant continuing contract rights to its teachers, change the state policies into something more fitting for the district’s local situation, or do away with tenure rights entirely. This provision goes into effect during the 2016-2017 academic year, but maintains the rights of teachers who earned tenure prior to the 2012-2013 academic year. Another element of the new legislation is $5,000 in annual merit pay for deserving educators. Districts will evaluate teachers according to student achievement and academic growth, teacher leadership, and subjects with critical needs. Each district can choose which of those three areas is most important for its community and give awards the teachers believed to be most deserving. However, each district has the option of adopting the state’s measures for awarding the money, and thus give it to the top 20 percent of teachers in their respective districts. One large challenge facing the state is how to promote widespread change in a state with diverse needs, spread out over a large geography. The internet has come to play a larger role in helping the state meet this challenge. For students in rural areas who wish to take Advanced Placement (AP) classes, South Dakota offers online courses through their more highly populated school districts. Another way the state Department of Education is using the internet to benefit students’ educational experience is through SD MyLife. This website directs students to career information, where they can see which college majors will best prepare them for their field of interest. The site also displays expected job growth in each field, so students have what they need to make the most informed educational and career decisions. With a better-than-average 13.27 pupils per teacher, South Dakota teachers have increased opportunity to engage personally with students. And given the economic climate of the state, prospective South Dakota teachers can expect to find even more opportunities to engage with students. South Dakota enjoys some of the lowest unemployment and housing rates in the nation. In addition, the cost of living in the state is 10.6 percent lower than the national average. Putting all of these statistics together, a picture of a stable and growing state emerges. Since 2000, the state has seen a 7.88 percent increase in population. This steady population increase, combined with the changing educational climate in South Dakota, will bring a growing demand for teachers. The state reports teacher shortages in a number of areas. Middle- and high-school teachers are needed in career and technical education, language arts, mathematics, science, and social studies; and teachers in art, English as a New Language, health, music, physical education, special education, and world languages are needed at all levels. All public school teachers are given the opportunity to join the South Dakota Education Association (SDEA). Each member of the SDEA benefits from professional development opportunities through the Midwest Alliance for Professional Learning and Leadership (MAPLL). Another benefit from membership is that the association advocates for its members, to help provide the fairest treatment of teachers in the state. Each member also has access to professional liability insurance. Retiring teachers are enrolled into The South Dakota Retirement System (SDRS), which serves all state employees. Several other organizations in South Dakota (see South Dakota Teacher Organizations) are devoted to teacher development. These organizations often publish and discuss research on teaching programs and techniques, and offer other educational resources to teachers, such as classroom activities and curriculum supplements. The South Dakota Department of Education also has an aptly titled incentive plan called INCENTIVESplus. This plan is designed for educators in high-need schools, which tend to be in the rural areas of South Dakota. Funded through a $20 million grant from the U.S. Department of Education, the program offers incentives to schools and individual educators, as well as offers incentives to recruit new teachers in participating schools with hard-to-fill positions. Teachers who increase student achievement in a high-need school can be awarded from $350 to $1,000. For the recruited teacher, the award amount can be up to $5,000. Certification is a two-step process in South Dakota. The first step, initial certification, requires the completion of an approved education program at an accredited university, including the completion of six credits within the past five years; and a passing score on the Praxis II exam. Teachers meeting these conditions are granted a five-year certificate. If a teacher has not obtained the six transcripted credits in the last five years, or has yet to pass the Praxis II exam, he or she can still receive a one-year certificate. The second step is the renewal of the teaching certificate. This step requires that each teacher earn an additional six college credits. If the teacher’s highest level of education is a bachelor’s degree, three credits must be taken from a college/university and verified via transcript; the other three credits may be in continuing education or professional development courses. Additional details and information about the certification process can be found at the South Dakota teaching certification website.